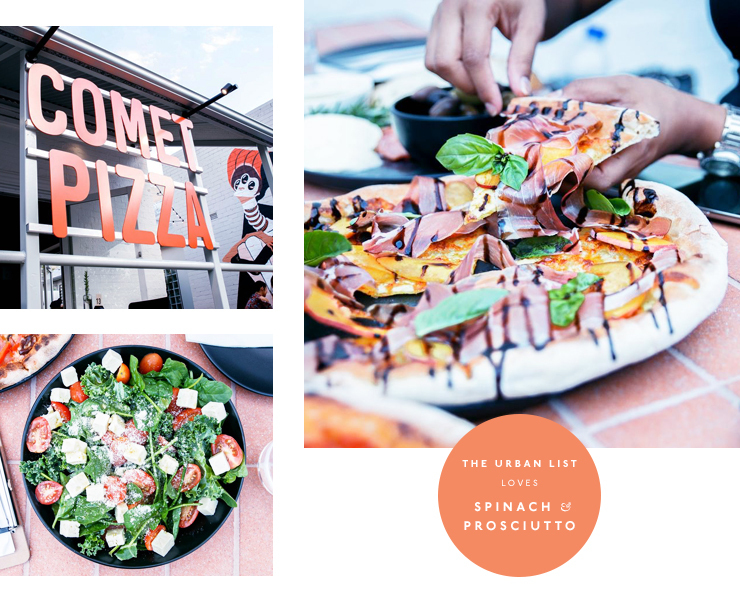 It’s no secret that we’re pretty big on pizza here at The Urban List (see exhibit A, exhibit B and exhibit C), so you can imagine we were more than a little bit pumped when we heard Comet Pizza would be opening on William Street in Northbridge—a mere five minute walk from our office. Nestled in among The Hummus Club, Whisk Creamery and The Chippery & Co, we knew this place was going to be good with a capital G before we even sat down—call it a sixth sense. Owner Tom Rowe and his partner Hayley, an interior designer, came up with the design concept together and the space has been fit out by the clever cats at Arcadia Architecture + Interiors. Let’s just say they have done a pretty amazing job—it’s beautiful and keeps with the whole outer space theme without being over the top—think striking pendant lights and subtle accents and you’re on the right track. But what about the food you ask? Well, it’s freaking delish. The pizza dough is all prepared right there in the kitchen using traditional Neapolitan techniques. It rests for 24 to 48 hours before being hand-rolled into perfect pizza bases. The pizzas are split into red sauce and white sauce varieties and it’s far too difficult to choose a favourite but the chilli maple chicken deserves a special mention thanks to the perfect balance of sweet and spicy flavours. The rest of the menu is fairly traditional with flavours like the classic Margarita, pepperoni, spinach and prosciutto and pear and gorgonzola to name just a few. You’d be forgiven for thinking you should only order pizza when you go to a place with pizza in its name, but trust us when we say you’ll want to try a couple of other things on the menu. The meatballs are an absolute must-try dish—the sauce is so good you’ll want to drink it straight from the bowl—and if you happen to be there at lunch time we can vouch for the conti rolls. They’re hearty, flavoursome and everything you want when you’re craving Italian for lunch. The fridge at the counter is full of Italian soda and desserts, and after one look at the Nutella mousse there’s no way you’ll be able to withhold. It’s just the right amount of sweet and nutty and after saying ‘just one more bite’ about eight times, it’ll be all gone! 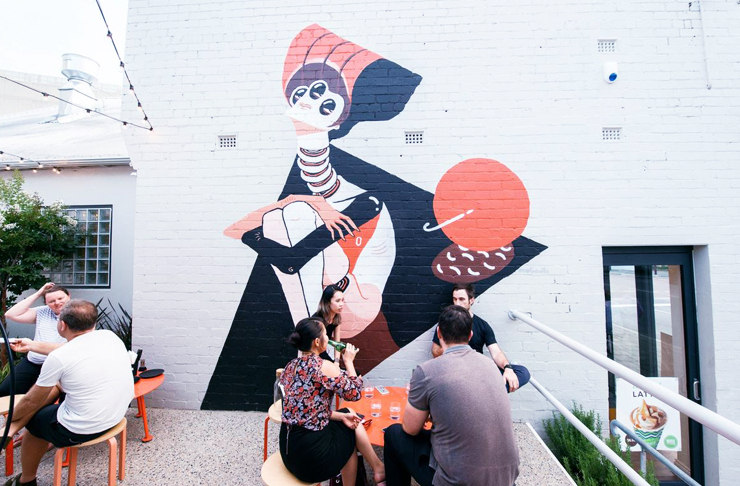 Comet is open for lunch and dinner from Tuesday through Sunday and it’s BYO, so grab a bottle of vino, some pals and head in for a big Italian feast.